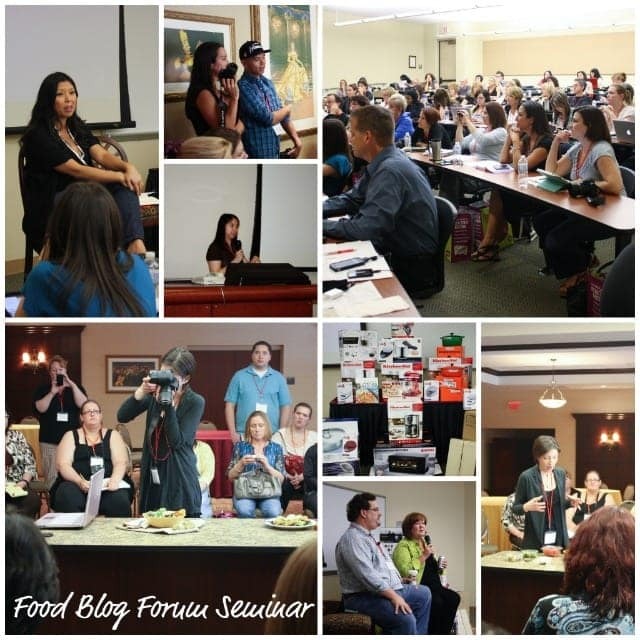 This past weekend was Food Blog Forum Orlando! I have been saying that my motto is, “I’m here for the food” and while that’s mostly true, being involved in organizing an event like Food Blog Forum reminds me that it’s not just about the food, it’s also about the human connection, friendships and relationships that develop between a group of people who have a common interest. It was an awesome experience to help bring this kind of event together. Thank you to Jaden of Steamy Kitchen for saying yes to having an event in Orlando and thanks to Dawn Viola of Wicked Good Dinner for helping me organize this event! I can say that Food Blog Forum was a resounding success! 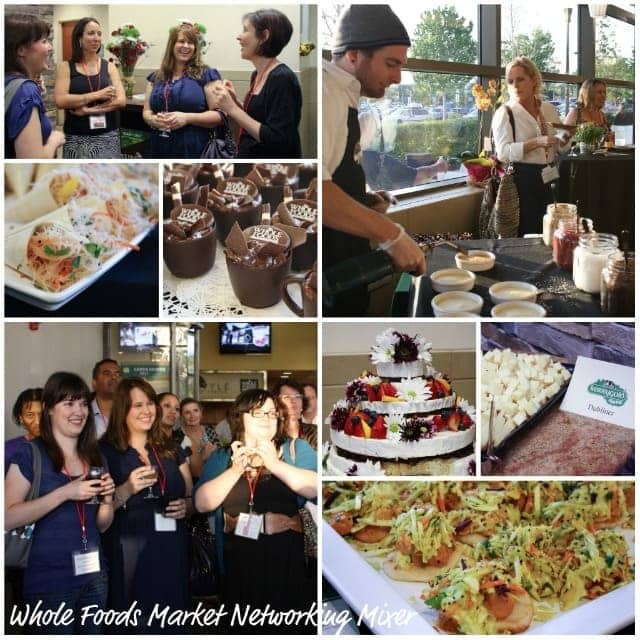 Our hosting sponsors Whole Foods Market and McCormick & Schmick’s Seafood Restaurants went all out and pulled out all of the stops for us food bloggers. We had awesome presentations from some amazing speakers. The Whole Foods Orlando crew really went all out for us from the short rib sliders to the maduri chicken salad with kovalam beach slaw on naan to the wonderful desserts! Kerrygold cheese and butter was represented as well. I got to hang out with some wonderful bloggers I have been wanting to meet up with for a long time – Aggie, Lindsay, Jessica and Jaclyn. And Maureen too! I finally got to meet Binky! I think I have been following her since I joined twitter in Dec. 2009. She is so sweet and I just adore her cakes like her Snoopy one. All day Saturday, we had a jam-packed schedule full of awesome speakers – Heather of the Orlando Sentinel and Jeff of the Tampa Tribune talked about getting on a food editor’s radar, Scott Hair talked about personal development, Jaden of Steamy Kitchen talked about personal branding and monetizing your blog, Lindsay of Purr Design talked about blog design, Pete of IZEA talked about SEO and social media sponsorships, the wonderful Helene Dujardin did sessions on food styling and photography and Dawn of Wicked Good Dinner did a talk on pitching to the big boys. I’m overflowing with ideas and visions of goals I want to set for my blog. Thanks to the wonderful speakers! There were so many food bloggers I met and had so much fun with including Joanne and Adam of Inspired Taste, Katie from Katie’s Cucina and Denise from Creative Kitchen Adventures. I went through my emails and I found an old email trail between Jaden and I…all the way back to March 2010. It started with me asking her to hold a Food Blog Forum in Florida! Fast forward and Food Blog Forum Orlando is now over. I’m actually sad! I had an incredible time planning this event and I met so many awesome food bloggers (many of whom I have been following for a while now), some new to me food bloggers as well as some people who have yet to start their food blog! I hope everyone learned a lot, had fun and enjoyed the food. What a wonderful bunch of food bloggers…I love it! I hope to keep the momentum going and hope to have meetups regularly with food bloggers located in the Central Florida area. A huge thanks to our hosting sponsors Whole Foods Market and McCormick & Schmick’s. 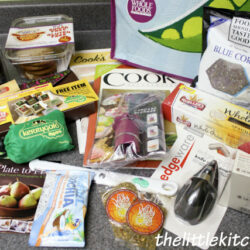 And also to our other sponsors who provided some awesome giveaways and goodies for our swag bags: American Pie Council, America’s Test Kitchen, Calphalon, Chicago Metallic, Cooking.com, Edgeware, Kerrygold, KitchenAid, Le Creuset and West Bend. And also another thank you to these individuals and companies for providing prizes and/or goodies for the bags: Bakerella, Batter Blaster, Chinet, Chuao Chocolatier, Duda Farm Fresh Foods, EatSmart Scales, Man Pans, Mueller’s Pasta, Roland Foods, Seneca Farms, Tassimo and Wildly Natural One. I also want to thank Helene for holding the wonderful food styling and photography workshop the day after Food Blog Forum (and to Whole Foods for allowing us to use their space). You have a spirit of generosity like Jaden that I appreciate so much! Thank you and I am honored to consider you a friend. I can’t wait to get my hands on your new book, Plate to Pixel (when it comes out in May 🙂 ). Wow, wish I was a Foodie and could have joined you! This looks great Julie, just WOW! fantastic job and the turn out looked amazing! Great photos Julie! Looks like you had a great time! Aw! What an awesome post! It was so nice meeting you, and once more you really did an amazing job. Looking forward to the Fl crew finding each other again soon! nice recap! I’m working on one, not sure what to write that hasn’t been covered haha. Great job on coordinating the conference, it was a really great time. 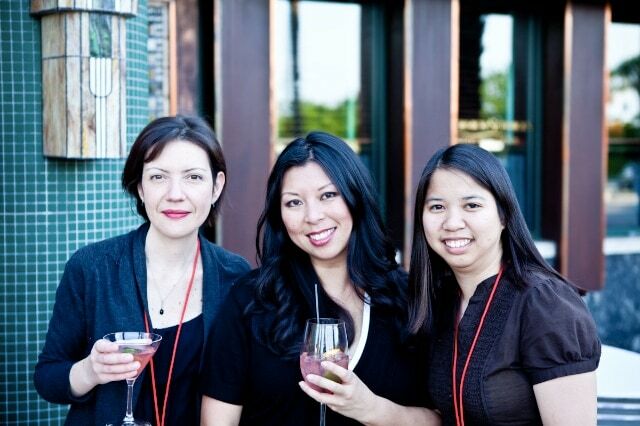 It was so great to meet you and all of the other wonderful food bloggers. I am blessed to be part of this wonderful community, and can’t wait to get together for future events. Now that you’ve helped Florida Food Bloggers to make the connection with each other, I know we have much more to look forward to in our collective food blogging futures. Did you see the Florida Food Blogger group now on Facebook? Make sure to join!! I’m pretty sure Michelle of Domestic Mama set that up for us. Yay!! I loved reading your recap of the weekend. Mine should be up pretty soon…it’s been quite a project for me since I have so many pictures I want to share & I can be a bit long winded anyway. 😉 THANKS again for all your hard work!! I appreciate all the effort and details you put into it. LOVE the swag!!! It was an absolute pleasure to meet you! You’re such a sweetheart! I joined the facebook group, thanks to Michelle for starting it up and so glad you like the swag bag! Wish you were there partying with us, Amanda! What a wonderful recap, Julie. I’m so glad that we got to spend a little time hanging out. Next time, we’ll talk more! You did such a great job with this conference. Hats off to you for all your hard work. It definitely paid off. Wow….good for you for bringing your idea to a wonderful reality! Thank you, it was an awesome experience. Wish you could have been there, Paula! Hi Julie!! I love the picture of us. I can’t believe we actually met after over a year of tweets and blogs. I didn’t even know I’d be in Florida over a year ago! Florida food bloggers are the friendliest. From the hosts, to the panelists, to the new coworkers/friends, it was really a fun-packed weekend… which is overflowing into my week! Thank you for organizing it; it was so very smooth! ^_^ Cheers. Thank you, Paula! I can’t wait!!! Seriously though, what a great event. Can’t tell you enough. Thank you for your hard work. It showed. Love that picture of you, Jaden and Helene! I love that picture too! 🙂 Would it be crazy to change my fb profile picture to it? 🙂 Oh yeah, I’m so afraid…I get so nervous, I kept saying stuff to Jaden under my breath and she told me I need to get over my shyness and she’s right! Julie, Thanks for working so hard for all of us to be able to meet and talk food. It was an amazing experience and hope we can meet up soon sometime, specially if we can drive up and meet (girls day out). You took great pictures, my favorite is the one you are with Jaden and Helene! Thanks to all the team that worked hard to make it all possible! Had a blast and left so inspired! Thanks, Kiran. Wish you could’ve been there. What a fun time! The food looks so yummy and what a beautiful bunch of ladies! It was so nice to meet you, Teresa! 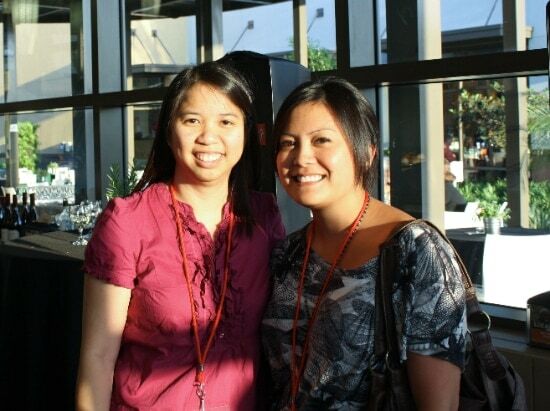 Looks like you had a wonderful event Julie; really one day I will show up at something…I’m really real, promise! Wow Julie, after reading everyone’s posts about FBF Orlando a huge atta girl is in order. You worked tirelessly to pull this off and with the group you put together it looks like everyone was pleased. Way to go! Well, let me repeat what we just tweeted back and forth:) Although I wasn’t in Orlando for FBF, I felt that I was through the tweets, pics and posts this week. Congrats on an amazing job and being sad it’s over is just an indication how much of yourself you put into the planning for the event. Great job! It looks like you had a truly amazing time. Oh how I love Food Blog Forum! Jaden definitely knows how to put on a rockin’ awesome conference. Wish I could have been there! Awesome write up Julie! I would loved to have attended those training/info. sessions the most!!! Thanks for sharing! 🙂 Great job! oh my gosh that food looks delicous and sounds like such a experience. Love all the photos and that you got to meet so many blog friends. Oh is this such a fun post!! This event looks like it was fantastic. Love when FBF was in LA last year. So fun to catch up with the blog buddies for realz 🙂 Happy photos! LOOKS LIKE FOOD HEAVEN!!! Meeting up with internet people in “real life” is always really fulfilling! Glad it was conveniently in Orlando and you were able to meet so many of your friends! Thanks so much for a lovely recap. Wish I could have been there, I just get to live vicariously through people like you. Well done on a great job! I had so much fun at this, Julie; thank you so much for getting it brought to Orlando! You did an amazing job, the presentations were smart, thought-provoking and inspiring, the swag bags were swagalicious and the venue was comfortable (which is one of the most important things when you’re going to be sitting in a room for most of a day). I’m glad I got to meet you and I’m looking forward to participating in the Food Blogger Bake Sale with you on 5/14! This looks like an amazing event! I would have loved to go! For some reason, I NEVER heard about this event. What rock have I been living under…but omg, would have gone. 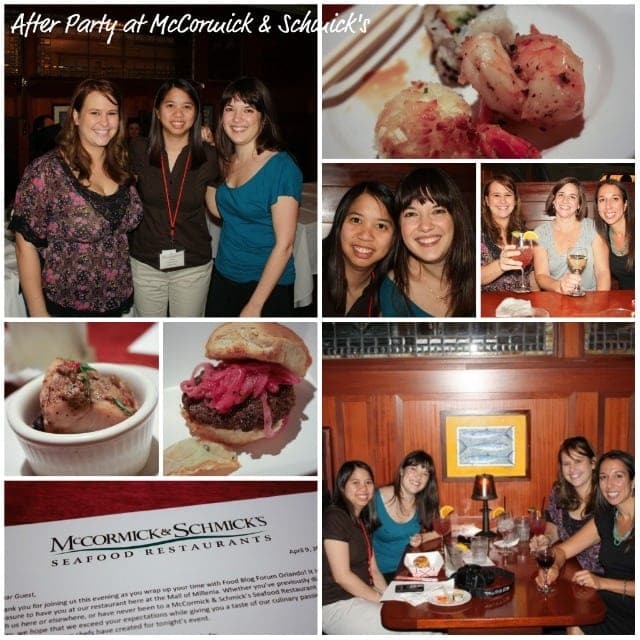 I just wrote a review for McCormick & Schmick’s last week and their food is OUT OF THIS WORLD! This is so amazing Julie! I read your tweets about the event, but didn’t know you helped put it together and organize it. 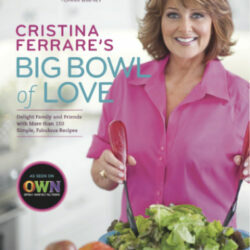 It looks like it was such an amazing success and so fun – Congratulations!!! Wow that seems like an AMAZING event! Great summary and wonderful pics too – I felt like I was there minus the full stomach.